Buying furniture for your room requires money, lots of it sometimes. Besides the cost, at times the right furniture isn’t simply found in home depots near you. Lucky for you, here’s a very simple yet creative way to make your own sofa! Yes, you can actually make your own. You would need wood (take note of specific measurements given in the video), woodwork materials, and sofa materials like pillows and cushions. 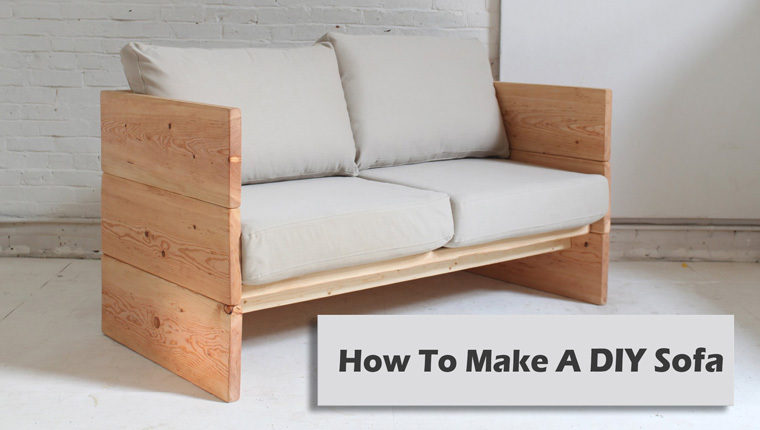 The video provided will give you instructions on how to make it and achieve results you can brag to anyone who stumbles across your first homemade sofa. The end-product is simple but looks really posh. You can put it in your garden or on your balcony, just so you could complement the ambiance of the outdoors with some native-looking furniture. It is a boxy minimalist sofa, and it’s your choice what color you’d use to paint and design it, or a varnish would be perfect enough too. Of course, this will take time and effort, but the satisfaction of being able to complete it would surely compensate the things you sacrificed. You’d acquire a new skill, and perhaps use such to open your own sofa business. Very rewarding, right?